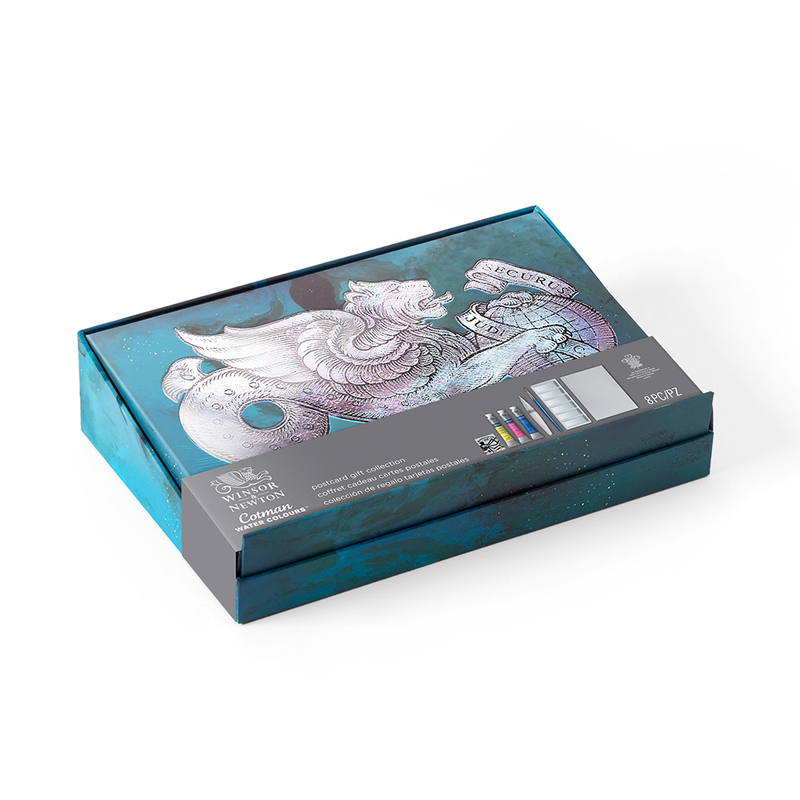 The Winsor & Newton Cotman Watercolour Postcard Gift Collection is a set of 13 artists paints, brushes and accessories put together to help you spark your creativity and engage your senses. 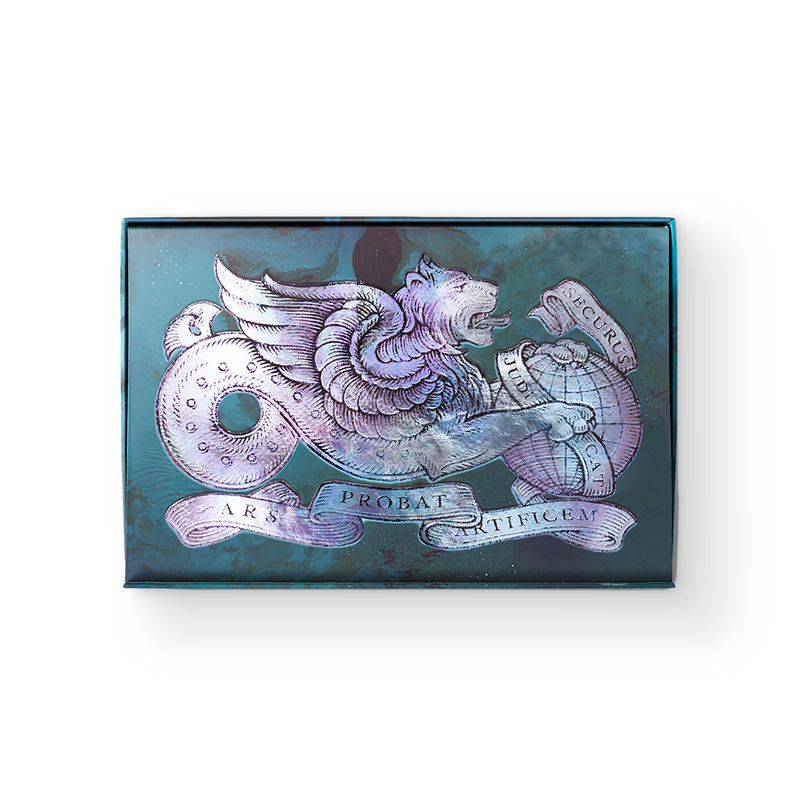 This beautifully presented range is inspired by the great art of alchemy, which was believed to hold the key to unlocking the secrets to creation. 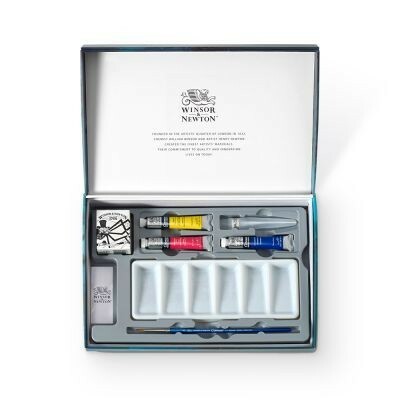 All the materials included in the set are housed in a small, portable box featuring a beautiful design inspired by the Winsor & Newton Griffin logo. 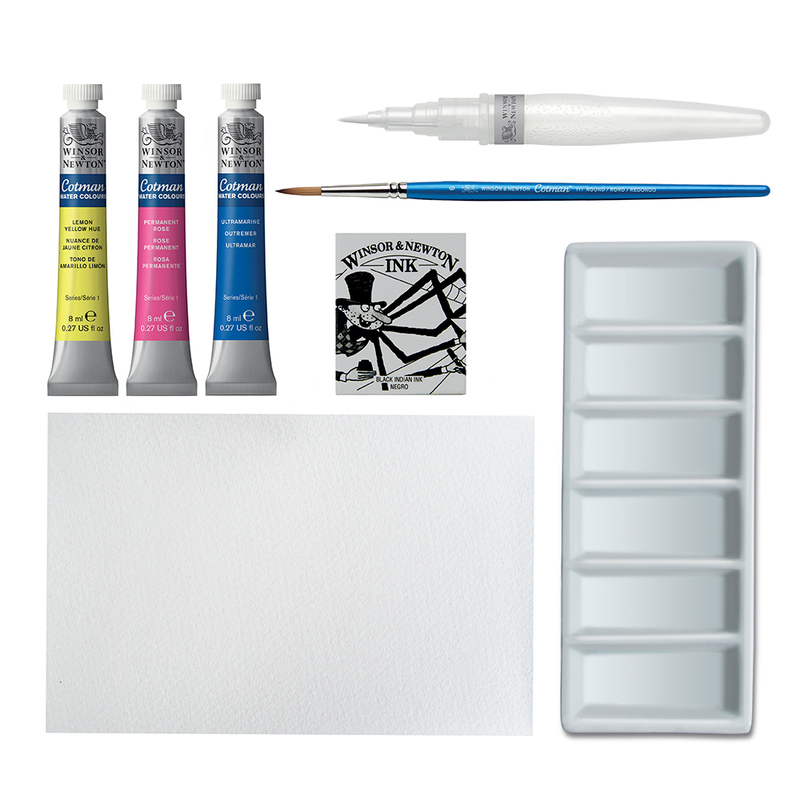 This set is compact enough to take on your travels, allowing you to create your own postcards whenever and wherever inspiration strikes. Three paints that cover the primary colours from the Cotman Watercolour range are included to give you the broadest mixing palette. The Black Indian Drawing Ink in the set can be used for line work, fine detail and text. Both a brush and brush pen are included to offer you a wide range of mark making possibilities. The Brush Pen also includes its own water reservoir, thus eliminating the need to bring a water pot on your travels. To find out more about the contents of this set select the ‘Contents’ tab above. This set is now reduced from an RRP of £26.75 to our price of £10.25, and the contents alone are worth over £20 RRP!